Each Stand Up Guys Junk Removal Branch has its own “Branch Manager” that’s in charge of all the customers, clients and Stand Up Guys in their region. We have branches in 6 States spread out throughout the United States. The cities include, but are not limited to: Georgia – Marietta, Roswell, Atlanta, Alpharetta. Florida – Tampa, St. Pete, Brandon. Tennessee – Nashville, Franklin, Brentwood. North Carolina – Raleigh, Durham, Apex, Cary. Texas – Dallas, Fort Worth, Plano, Frisco. Oregon – Portland, Beaverton, Gresham. All our Divisions carry the same, strong Stand Up Guys traits (like great pricing and customer service). Each Branch Manager puts their own spin on their task at hand, this is what makes Stand Up Guys Junk Removal so unique… So take a minute and find out which Branch, or division you are and which crew will be coming to your house or place of business. Stand Up Guys Junk Removal was created and founded right here in Georgia, way back in 2008. We’ve since expanded to other states and cities, but Georgia is still where we have our Headquarters, our largest Branch, and most of all, our roots are forever in good ole Georgia. No matter where Stand Up Guys goes, or what cities we overtake in the future, Georgia will always be our home. Our ‘good ole boy, southern charm’ personality is what separates us from everyone else. The Stand Up Guys Junk Removal Atlanta Branch is our biggest and busiest Branch. This area is covered by 5 trucks and covers all over the Atlanta area. If you are looking for good service with an even better price on all your Junk Removal needs, then look no further. Learn More about our Atlanta Division and meet Corey Gatlin the Division Manager! Stand Up Guys Junk Removal’s first, and most coveted division is the Marietta Division. This was where it all started for SUG. Our roots run deep in Marietta! We have been offering wonderful customer service and pricing to the people of Marietta for years. Learn More about our Marietta Division and meet Jesup Harris the Division Manager & Senior Crew Leader! Stand Up Guys Junk Removal’s third oldest Division is located in Alpharetta, GA. This Division covers all of Alpharetta, Roswell, and More. Stand Up Guys Junk Removal in Alpharetta offers you all the same great prices and customer service as our other locations in Marietta & Atlanta. Learn More about the Alpharetta Division and meet Patrick Keneey, the Division Manager! Stand Up Guys Junk Removal’s first big expansion out of our home state of Georgia was down south, to ‘The Sunshine State,” Florida. We picked the Tampa Bay area of Florida to plant our new roots in because of the vast cities, businesses, growing population and of course.. The beaches. Our goal was to become and maintain the status of ‘The Number One Junk Removal Company in Tampa within a short period of time. We met that goal very fast! 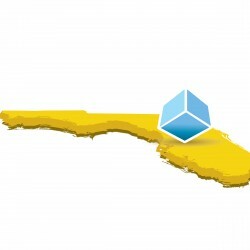 Stand Up Guys Junk Removal’s first Division for our Florida Branch was in Tampa. We chose Tampa because of the many great businesses that call this area home and the wonderful suburbs that spread all throughout the city. Learn More about the Tampa Division and meet Brelin Fernando, the Tampa Bay Branch Manager! St. Petersburg was our second city on our voyage to taking over all of Tampa Bay. The Stand Up Guys put our feet on the ground and began helping the great people and businesses of St. Petersburg shortly after arriving in Florida in 2014. Learn More about our St. Petersburg Division and meet Bradley Dickerson the Division Manager! Stand Up Guys expansion into the Brandon Area was a no-brainer. Brandon is one of the wealthiest & most vibrant suburbs in Florida. We quickly got our feet on the ground and started helping people with their junk in Brandon in 2014. Learn More about the Brandon Division and meet Ronald Miller, the District Manager! Stand Up Guys Junk Removal’s second big expansion out of our home state of Georgia was up north to ‘The Volunteer State’, good ole Tennessee. We picked the Nashville area of Tennesse to plant our new roots in because of the growing cities that surround it, businesses and booming population. Nashville is not only one of the fastest growing populations in Tennessee, it’s one of the fastest growing in all of America. Perfect for The Stand Up Guys! We ARE Junk Removal Nashville! And we plan to become and stay the number one choice for junk removal and hauling all throughout Nashville. Stand Up Guys Junk Removal’s first Division for our Tennessee Branch was in Nashville. We chose Nashville because of the crazy growth in population, the vast amount of businesses that call the area home and ALL of the suburbs that surround the city. Nashville is a booming place and Stand Up Guys are so proud to be a part of it. Learn More about the Nashville Division and meet Ross Lawrence the Nashville Branch Manager! 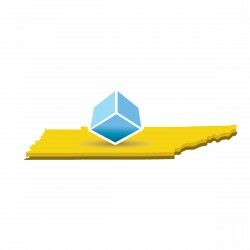 Stand Up Guys Junk Removal’s second Division for our Tennessee Branch was in Franklin. We chose Franklin because of what the city represents. It’s a wonderful place to raise a family, has amazing school districts and a sustainable local economy. These are all wonderful traits for a small business to thrive in. We mainly chose Franklin though because of all the great people that call Franklin home. Learn More about the Franklin Division and meet Ross Lawrence the Nashville Branch Manager! Stand Up Guys Junk Removal’s third exciting expansion out of our home state of Georgia was again, up north, but this time to ‘The Tar Heel State‘, the great state of North Carolina. We decided on the Raleigh-Durham-Chapel Hill Area to dig our heels into next because of the massive boom in population, the great housing market, and the ever expanding job market. Raleigh is not only one of the most popular new destination for families and small businesses in the Southeast, it’s one of the most popular new cities in the entire country. All these factors make Raleigh more than perfect for The Stand Up Guys! 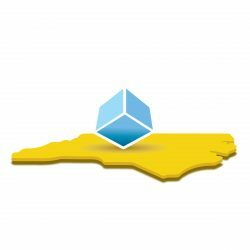 We ARE Junk Removal Raleigh-Durham! 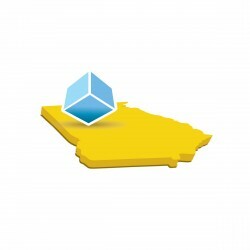 Stand Up Guys Junk Removal’s first Division for our North Carolina Branch was in Raleigh. We chose Raleigh because of the huge growth in population, the wonderful family atmosphere of the area, and the great local economy. The biggest factor in choosing Raleigh though, was simply because of the great people that call Raleigh home. Learn More about the Raleigh Division and meet Spencer Hicks the Raleigh Branch Manager! Stand Up Guys Junk Removal’s second Division for our North Carolina Branch was in Cary, NC. We chose Cary because of the massive suburban areas, the wonderful school districts and the great local economy. One of the largest factor in choosing to plant our feet in Cary over other cities though, was because of all the great people that call Cary home. Learn More about the Cary Division and meet Spencer Hicks the Raleigh Branch Manager! For the first time ever The Stand Up Guys Junk Removal Crew is headed out west! 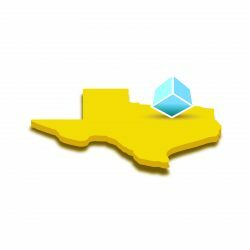 Yup, the 4th expansion of the SUG brand is to the great Lone Star State. The Stand Up Guys have decided to touch down smack dab in the middle of the great state of Texas, right in the heart of Dallas. We choose Dallas for many, many reasons. The amazing culture, thriving local economy, incredible people and massive population of Dallas was music to our ears. Oh so much junk needs a Stand Up Guys touch in Dallas. Dallas is not only one of the best, most populated cities in Texas, it’s one of the largest, most economically stable cities in the WORLD. All these factors make Dllas more than perfect for The Stand Up Guys! We ARE Junk Removal Dallas, TX! Stand Up Guys Junk Removal’s first Division for our Texas Branch was in Dallas. We choose Dallas over other Texas cities for a few reasons. A few being the population, economy, growth and how wonderful it is for families (families love and need our services) . The biggest factor in choosing Dallas though, was simply because of the great people that call Dallas home. Learn More about the Dallas Division and meet Christiaan Sammons the Dallas Branch Manager!